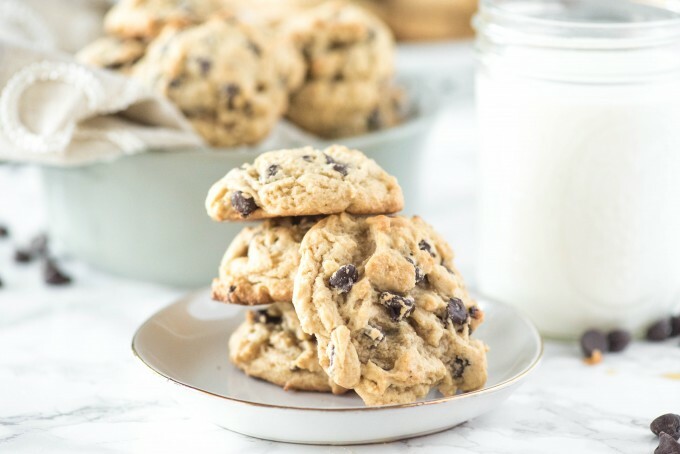 Our family is all about chewy cookies, and these soft chocolate chip cookies are our absolute favorites! 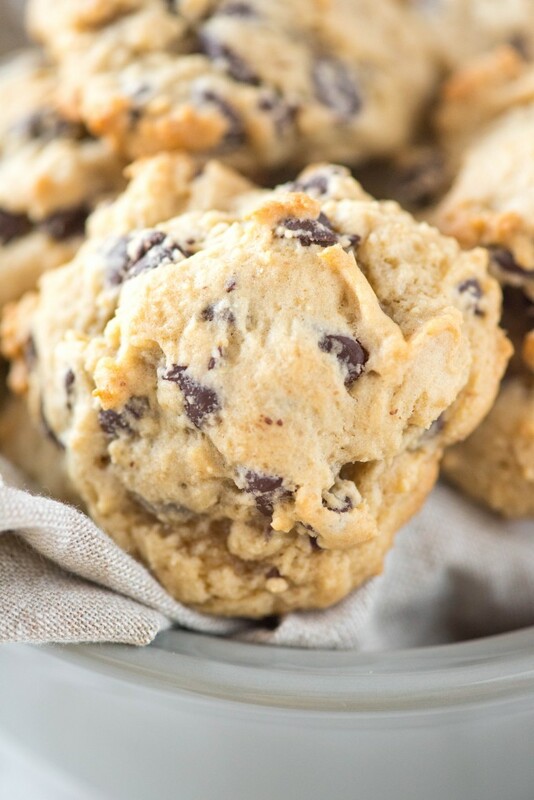 Loaded with chocolate chips, it’s the best soft chocolate chip cookie recipe out there! There is something about soft chocolate chip cookies that are profoundly comforting and perfect for sharing with people that you loveI had the privilege of cooking for some wonderful friends of mine who just welcomed their third child last week (I really just used this as a ploy to get to see that adorable babe!). I made them a couple of dinners, and planned on making an orange-chiffon cake for dessert as well. I knew I needed powdered sugar, oranges, and cake flour from the store in order to make this happen. I got home from the store after work and realized that out of the three things I needed, I had somehow managed to only get powdered sugar. Excellent. Well done. On to plan B. It was the second best moment of the day- the first was getting to snuggle an adorable newborn! I forgot how amazing brand-new babies are. I started reminiscing about the first few days with Jonathan and Michael, which only led to the realization just how fast he is growing, and how quickly the time is passing. Sad face. I swear, sometimes finding the be-all, end-all recipe for something is a transcendent experience. 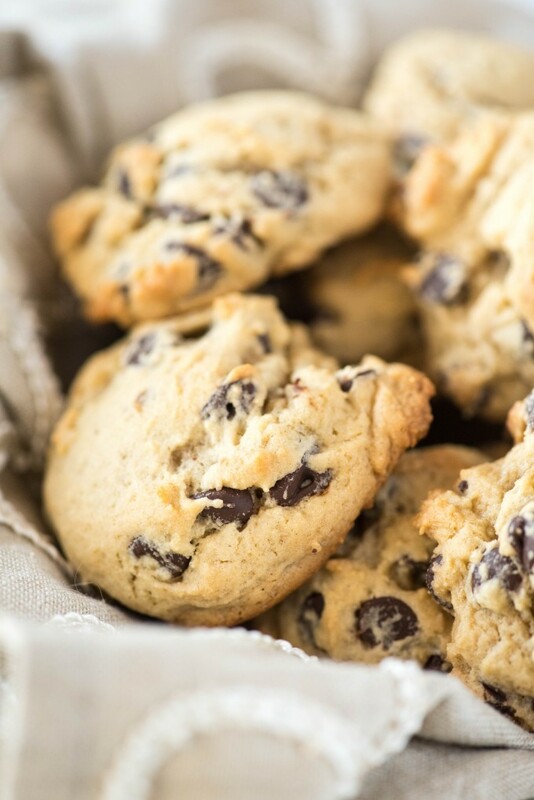 We love soft chocolate chip cookies, and I find that most cookie recipes just don’t turn out the way I like them- no matter how they are baked. I thought this recipe had promise– hell, it has “soft-baked” right there in the title! That was ten years ago. I haven’t used another recipe since. In a bowl, whisk together flour, baking soda, baking powder, and salt. In a large bowl, using an electric mixer, beat sugar, butter, and corn syrup until light and fluffy. Beat in eggs and vanilla. With mixer on low, gradually add flour mixture, beating just until combined. Fold in chocolate chips. Drop dough by tablespoons onto two baking sheets, 2 inches apart. Bake until cookies are no longer shiny, 10 to 12 minutes, rotating sheets halfway through. Let cool 2 minutes; transfer to wire racks, and let cool.